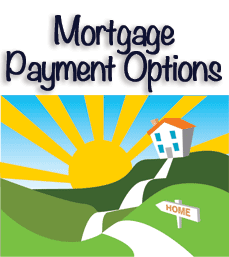 Would a lower mortgage payment make a difference in your lifestyle or family budget? If you have a burdensome pile of bills each month, these tips might help save a little on your budget. The one most hopeful choice, with multiple variations, is refinancing your loan. The longer the time since taking out the loan you wish to replace, the more you can save by refinancing. Leverage your equity – You might get lower mortgage payments by taking out a new conventional mortgage. This option requires that you find a cheaper package than the original loan or smaller due to your previous payments of principal that now have increased your equity. Alternatively, you might be able to save on the mortgage insurance. If your equity has increased, either by repayments, rising home values or both, you can apply to end your policy, stopping the payments. If you can refinance with equity for a combined smaller payment and without premiums, you will double the savings. Interest only – Loans for real estate usually combine repayments of principal and interest on the outstanding balance. Refinancing with a loan that only pays interest every month is a short-term solution at best. A few lenders may offer an extended period of interest only payments. The down-side is either a future balloon payment or payments of interest and principal. Adjustable rate mortgages – Lenders love loans that give them a chance to adjust to the current market rate periodically. In return for future uncertainty, lenders offer lower interest rates, fixed for some time after the start of the loan. The initial fixed period may be as much as five years followed by yearly changes, relative to some index. If interest rates stay low, you pay a lower mortgage payment every month. On the other hand, the interest could become a burden if the rate goes up significantly. You trade short-term savings for medium and long-term risk with an ARM. Here is a thought; maybe you want to pay less interest over the long run. If you have increased your equity and your payments are not so bad, perhaps you can refinance for a shorter term. Lenders love to get paid fast. So, if you make larger payments over fifteen years instead of thirty, you get a lower interest rate. The payment may be higher, but not by much, and you will pay much less over the lifetime of the new loan. The one consideration when you are refinancing a home loan is that you will have to pay fees for the new loan. Your lender will tack on some combination of up-front costs and fees added to the new balance of the loan. These costs can be significant, and they vary from lender to lender. So, shop around carefully and make sure that you understand all of the costs involved clearly. Once you have a home and making payments, your creditworthiness grows and so does your equity. The longer you keep making your payments on time, the better your position in refinancing. So, if you need to tighten your household budget, it may be an option to look around for a lower mortgage payment.